The range of benefits that Silicon Valley companies offer employees may vary from dental, vision and 401(k) all the way to yoga massages, car washes and beauty services. With tech giants like Facebook and Google making a big deal about the benefits they offer, delivering and managing perks is a key part of any company’s strategy to attract talent now — and this is where Espresa comes into the picture. Founded in June 2015, the Palo Alto-based startup developed an online platform that allows companies to provide workplace services for employees. The company, which has 20 employees, has raised $2 million in seed funding from Crosslink Capital, Clear Ventures, TEC Ventures and angel investors. Let’s say, for example, that you’re an employee at a company that uses Espresa and you have a cracked screen on your phone. 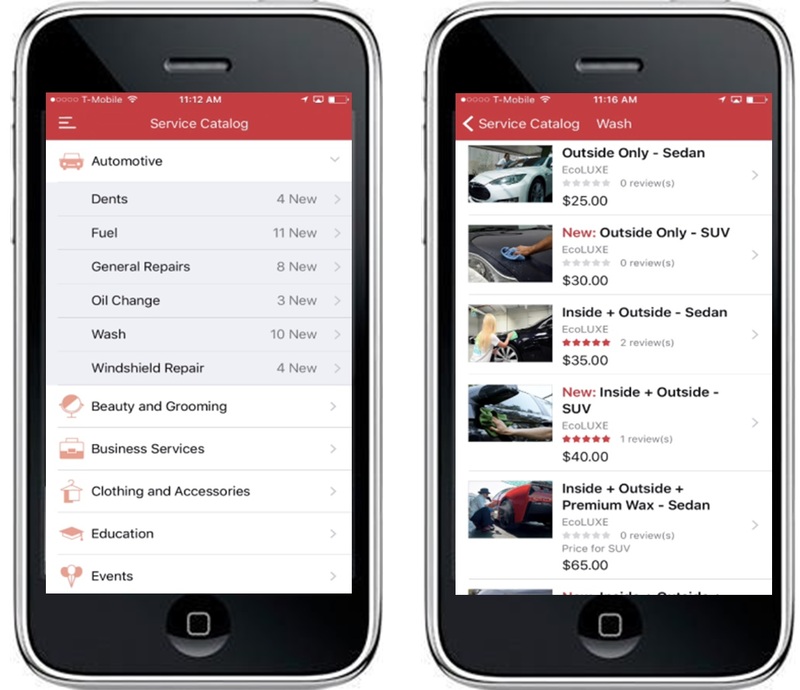 By logging into the Espresa app via web or mobile, you can select a phone repair service and a vendor will come to fix it. The list of services that Espresa offers includes car washes, car refuels and general repairs, haircuts, manicures, eyebrow treatments, bicycle repair and team-building opportunities. Among all the options, phone repair is becoming very popular, Shubat said. Typically, users are able to get the service within 24-48 hours. The name of the company is a play after the word “express.” “It just sounded nice. Later on we found out that it is actually in the Spanish dictionary,” Shubat commented. To deploy the platform, companies must pay a subscription fee, which depends on the company size (between $1 and $2 per employee each month). Espresa also collects a commission from every transaction vendors make thanks to the platform. For vendors, joining the platform is free. Who pays for each service depends on what the company would like to do. Once the company deploys Espresa, it has to decide which services are subsidized. Services can be 100 percent funded by the company, costs can be shared 50-50 between company and employee or the employee can pay 100 percent. Another option for the company is providing employees with $100 (or more) a month and letting them decide how to spend it on the platform. “The platform can take care of both models,” Shubat said. Employees who uses Espresa may also leave feedback about the services they used. By signing a contract with Espresa, vendors commit to maintaining a certain quality level. Espresa competes with companies like AnyPerk, which provides a platform to let companies deliver discounts to their employees. Last year, AnyPerk raised $8.5 million in new funding. “But they don’t focus on bringing providers to the workplace,” Shubat said. Currently, Espresa is used by 25,000 employees in about 15 companies. The platform is only available in the Bay Area, but the company plans to expand next year, likely to Austin, LA and San Diego.